Binged watched both The Lord of the Rings and The Hobbit Trilogy movies with Jan recently and was inspired to do this post. 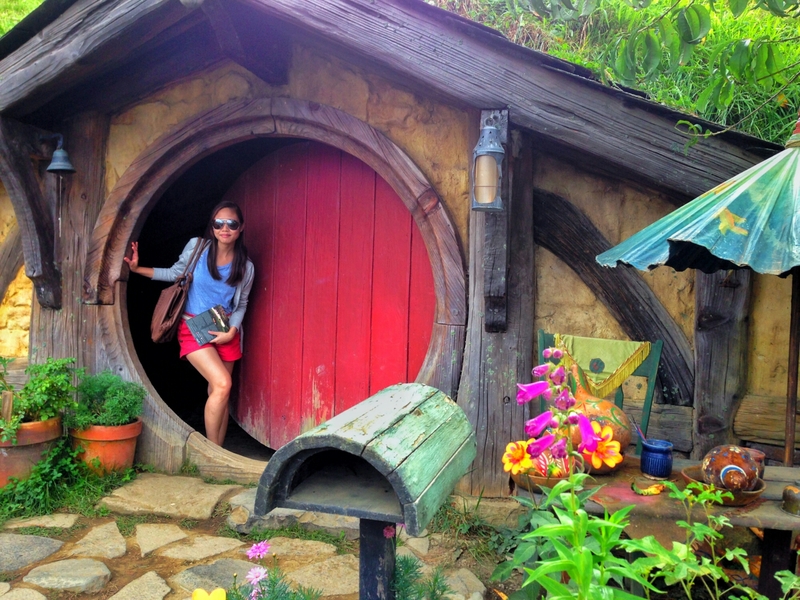 Welcome to “Hobbiton” — home to Bilbo and Frodo Baggins and Samwise Gamgee, hobbits of The Shire. 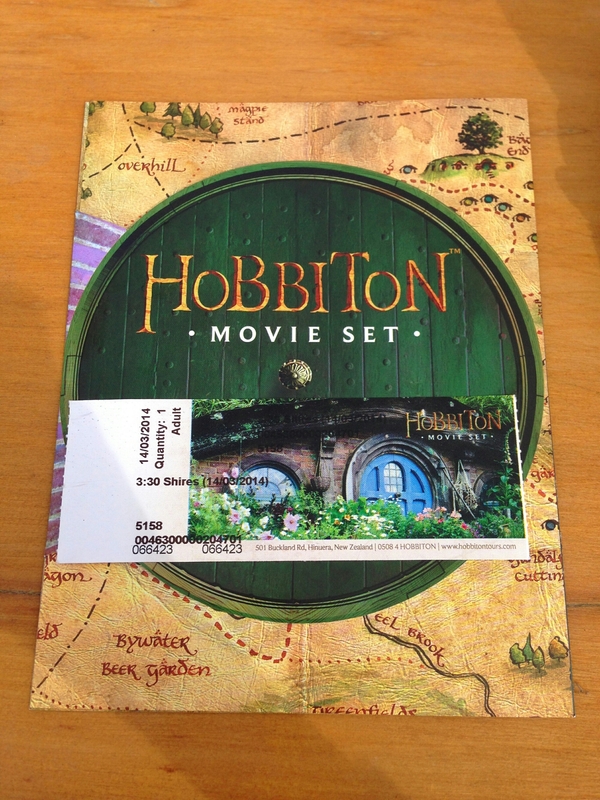 The area used as a filming location for the LOTR and The Hobbit movies is a family owned farm situated in Matamata New Zealand (In the North Island). 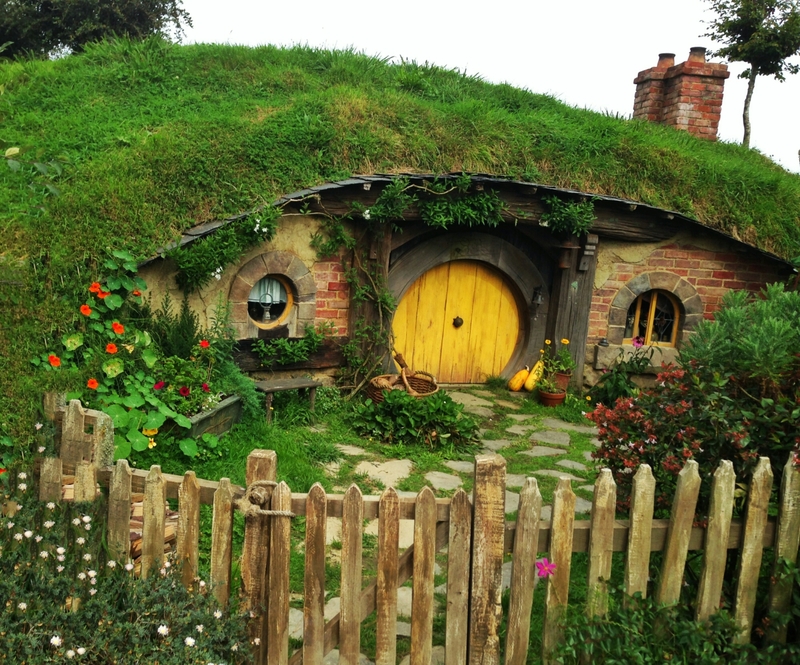 After filming for the last of The Hobbit movie was done, the set was left in place and is now a popular tourist destination in the Waikato Region. 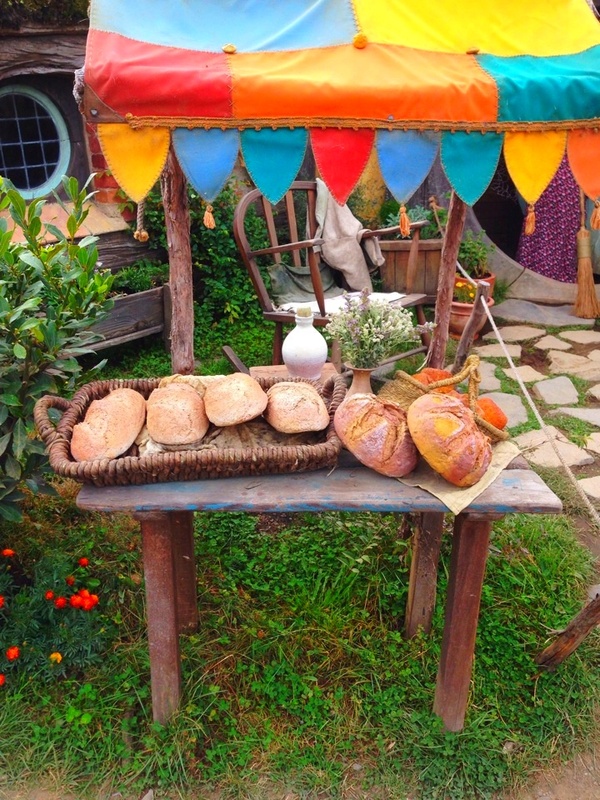 (Almost three years ago) We did the movie set tour in Hobbiton. During the tour, an appointed guide took us around the site and told us fun facts about the filming process that took place as well as pointing out key things in the area that were significant to the LOTR and The Hobbit movies. 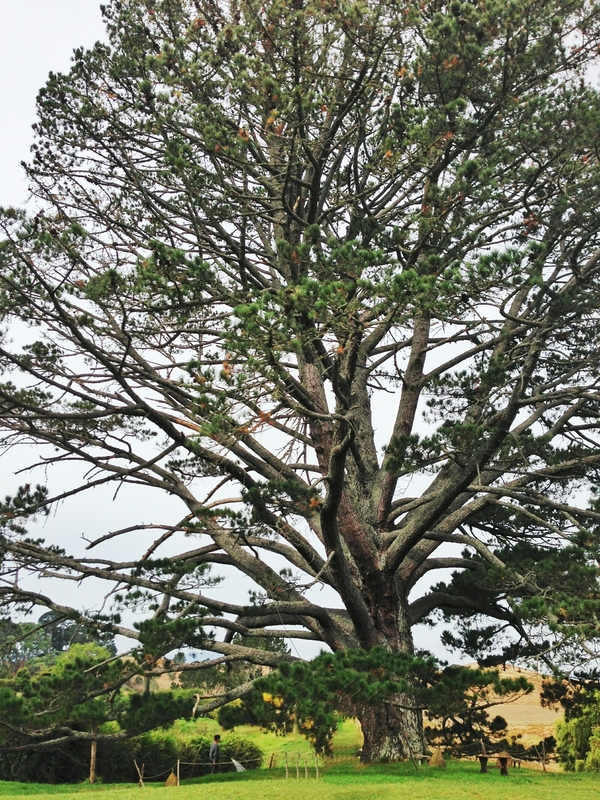 *The “Party Tree” where Bilbo did his speech during his birthday celebration prior to leaving The Shire. 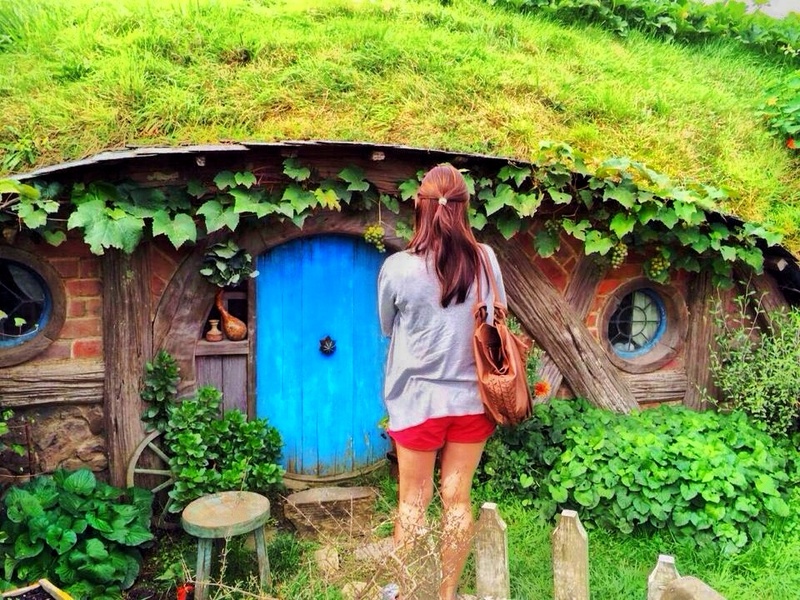 *Bag End. 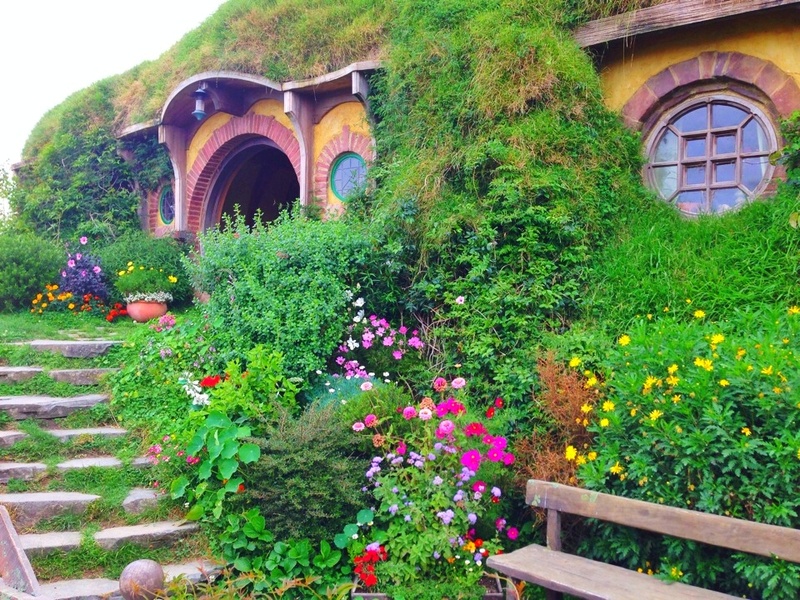 Home of Bilbo and Frodo Baggins. 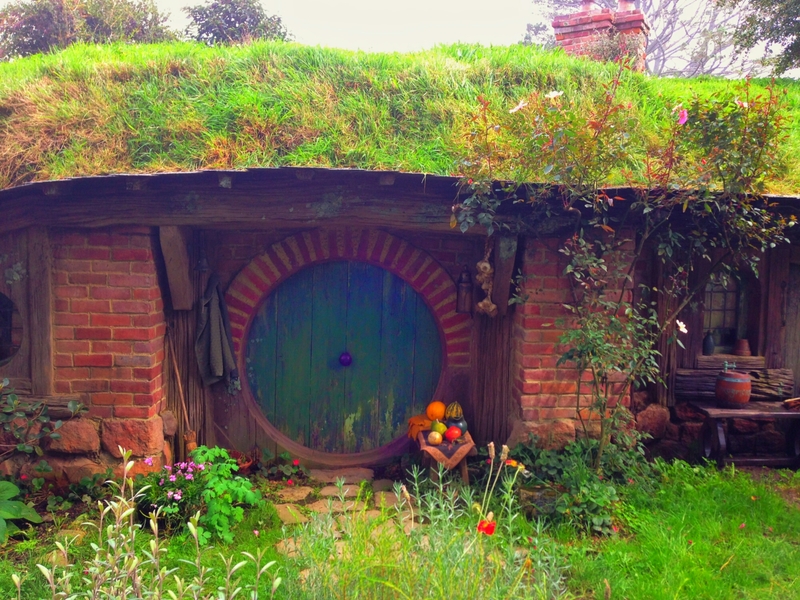 *One of forty-four Hobbit homes left intact after filming of the movies. 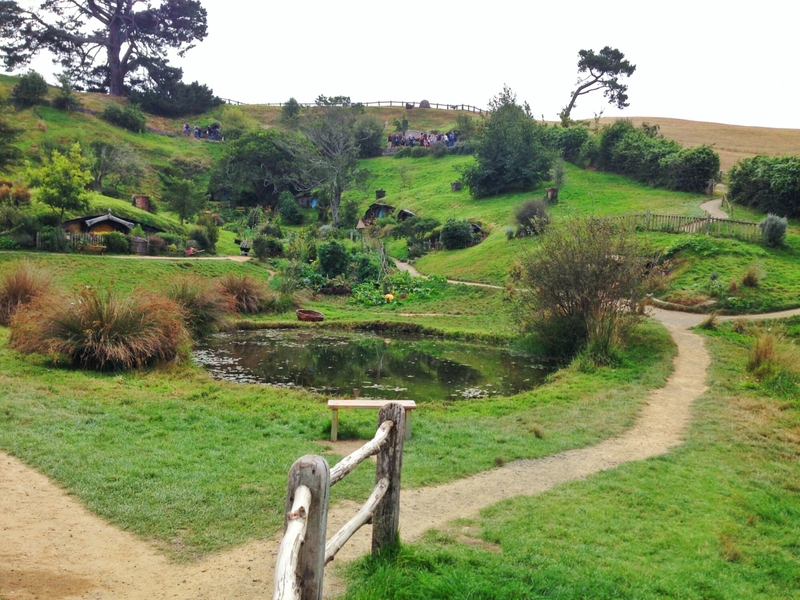 *Winding pathways going around Hobbiton. 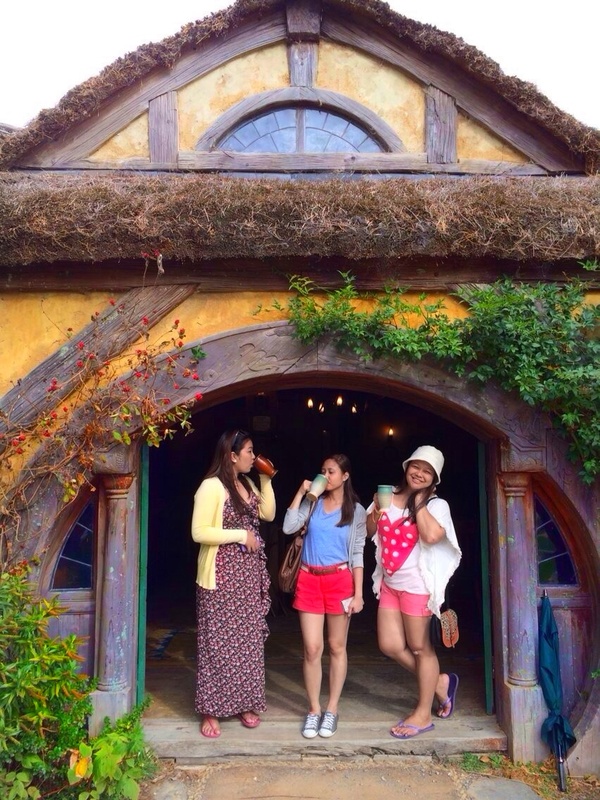 Our tour ended at the Green Dragon Inn with a complimentary drink included with the tour.